Back for more – SHDB18 is happening! We’re back! 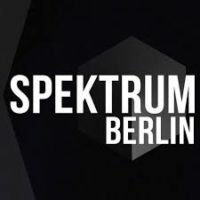 The best science hackathon of the year 2018 in Berlin will happen from the 2nd to the 4th of November 2018! 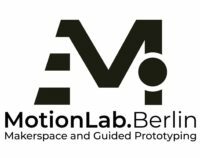 We are happy to announce a new location at Motion Lab in Berlin Treptow. What didn’t change is that we offer you a long weekend full of experimentation, connecting to great people and hacking science in fun and new ways! To get you hyped for this year here some of our favourite hacks from last year although pretty much every hack was our favourite – it’s like choosing a favourite child! Combining visuals and sound this strobokinetic sculpture seemed to move back and forth based on the sound that was played while in reality it never changed speed or direction. Quite mesmerizing on video and even more so in person. Next up is the audience favourite, making the sky blue again. VR, blue LEDs on a pair of glasses or a heating lamp dangling precariously above the head, all of these solutions did their part in making the wearer forget the depressing conditions of Berlin weather in November. Not all hacks have to be based on physical objects though, one team chose to look for similarities in microscopic images of rocks and cells and used style transfer to make one look like the other with stunning results. And actually, with the pressure to “publish or perish” already leading a few unscrupulous researchers to fake their data, you have to wonder where techniques like these could take us. Organizing an event free of charge with catering and lots of tools and parts to play around with needs support. We are looking for sponsors. If you are willing to support us or know someone who might be, please check out this page for more info and to get in touch with us under [email protected]. Only through the support of our sponsors in the past we were able to give you a weekend full of hacking fun. Did your hacking senses start tingling? Can’t you wait to join us for a long weekend of tinkering, playing, learning and building? Registration will open on October 17th. Don’t miss it and join our facebook group, follow us on twitter, mastodon or on instagram to stay up to date! 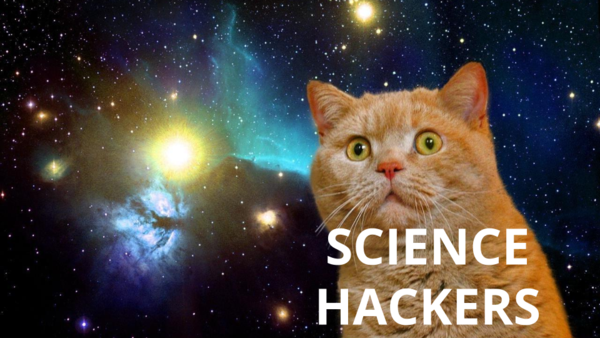 Sign up to our mailing list to get a notification in your inbox about registration and all other news related to Science Hack Day for this and the following years. 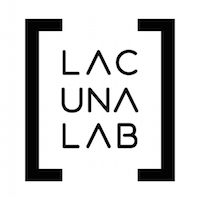 You can also join us at our monthly meetup and talk about science and hacking and science hacking. Do come! Spread the word, tell your friends and fellow hackers that #SHDB18 is back in town! And remember: if you know someone who’d like to support this great event, let us know!